Volcano: What was the motivating issue that launched the Transportation not Deportation Campaign? OC: Sanctuary Health and No One Is Illegal were hearing reports from people in detention that transit police were referring people to the Canadian Border Services Agency (CBSA), and David Ball wrote an article for the Tyee on transit police collaboration with immigration (“Transit Police Report Rider to Immigration Nearly Every Day,” July 10, 2014). So these groups started working together to try to figure out what was going on. As we learned more from research and Freedom Of Information (FOI) requests, we started to realize the extent of the collaboration between transit police and CBSA and started a campaign to ask that this be stopped. Volcano: How significant was the case of Lucia Vega Jimenez, the Mexican woman who was stopped by transit police, turned over to CBSA, and died in detention while awaiting deportation? OC: Of course, the inquest into the death of Lucia Vega Jimenez was huge because it brought to light the relationship between transit police and CBSA; it put it onto our radar. And the inquest into her death was valuable as we saw how the relationship played out in her case. Transit police constable Jason Schuss talked about his interaction with Lucia, how she had an accent and didn’t seem like she was from Canada. It really showed him carrying out an immigration investigation with the help of a CBSA person over the phone, rather than for simple fare evasion. 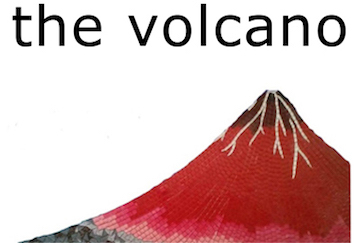 Volcano: As the FOI material started coming in, what did it reveal? What was the extent of the collaboration? OC: Transit police received training from CBSA in 2013, and they had a Memorandum Of Understanding (MOU) that dates back to 2007. The success of the MOU was judged based on the amount of immigration arrests that were made under the partnership. It also revealed that transit police referred more people to CBSA than any other police agency in the province. So it seems that the purpose of this partnership was to garner as many arrests as possible. Volcano: So the real purpose of the partnership was to use transit as a border checkpoint. OC: Oh for sure; that’s how I would interpret the wording. Volcano: What are the main objectives of the campaign? OC: Essentially, we don’t want public transit to be a border checkpoint. We would like people to ride public transit without fear of deportation, so that means that we want transit police to cut off contact with CBSA, make sure that they are not sharing people’s information with CBSA, and they are not collaborating with CBSA in any way. We have 5 demands that make this clear and are available on our website (see https://transportationnotdeportation.wordpress.com/demands/). Volcano: Was this accomplished in the recent announcement that transit police were tearing up its agreement with CBSA? OC: I personally would not feel comfortable telling undocumented people that they are safe to ride public transportation. I think ending the MOU was a big step. Transit police have also talked about a directive that they will not ask the immigration status of victims and witnesses, and that an officer will not call CBSA without permission from the Watch Commander (their supervisor). If they call CBSA, they will not detain someone for an immigration violation. However we haven’t seen those directives on paper yet, and the devil is in the details. Volcano: Why do transit police ask for identification and how does this shift into questions about immigration status? OC: They claim that they only call CBSA in order to identify someone and only as a last resort. We say that there are plenty of other ways to identify people, that they do not need to call CBSA at all; and we are calling on them to accept a range of IDs. Police have to deal with issues of identity every day and they don’t tend to rely on calling CBSA; there are other means to identify someone and there is no reason to be calling immigration. The fact that they do call immigration on certain people is a result of racial profiling. That was made clear in the testimony of Constable Schuss during the Lucia Vega Jimenez inquest. Volcano: In order to get to the root of this issue and make transit safe, it’s not just tearing up the MOU but maybe removing the police from the transit system altogether. Are you pushing for that? OC: As a campaign we are focused on the collaboration piece; we don’t want immigration enforcement on the Skytrain. We have 40 organizations and 1000s of individuals endorsing our 5 demands that focus on ending the partnership. Getting police off of transit is not something that we affirm but some members of the coalition might hold this view. Personally, in light of the shooting of Naverone Woods by transit police and what I’ve heard from members of VANDU, we see that there are many other concerns about transit police that would call into question the need for armed police on transit, and they are the only armed transit police in the country.